Hello everyone, I did a little project ! I don't know if I'll continue it. Please let me know what you liked / disliked. Criticism is appreciated ! I am quite new to voxatron ~0.3+. Red Labs is a corporation. They make experiments on everything. They like to play with robots. But what they like the most is combining genes to cross-mutates species. Their new-gen robots, called the MK-I (MK-II / MK-III / etc...) are made using animals or human brains. They found a way to isolate brain cells to keep the brain alive in a robot body. This way, they can control robots easier. Human brains are obviously hard to control, so some robots go out of controls. This is what happened to you. You must find a way to escape the Red Labs. I wish you all merry Christmas and happy new year ! I am looking forward to what will Voxatron look like next year ! Does anybody knows of a way to remove the walking sound ? Does anybody knows of a way to change the jumping sound ? This game has become GREAT ! Who am I ?Who are you ? Hello everyone, I left this game for a while (maybe 1 year). A lot have changed and I'm trying to get reused to it like I was before. where do I live: Quebec (in Canada). 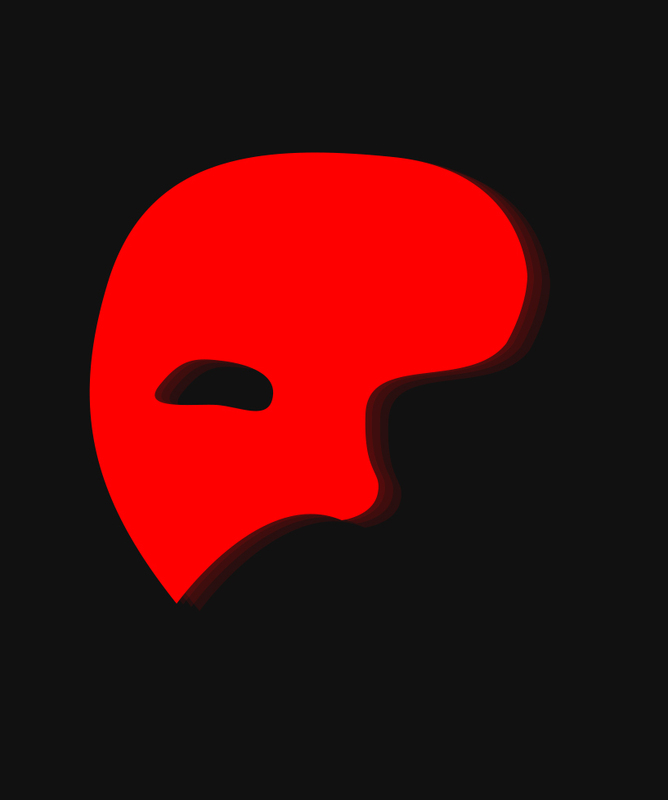 Lol, I have no idea, I did this username a while ago ... but my current username everywhere is RedMask (as you can see my new picture). why did i chose it ? well I often makes nightmare where a random guy, very tall wearing a red mask and black clothes makes me choke when I see him and I can't wake up until the nightmare is over. if I copy & paste 30% of the time voxatron crash. sometimes, when I draw voxels, I... you guesses it... crash !!! PS: the farthest I went on this update was to create the leg movement, then ... CRASHHHHHHH.!!! fatal crash: voxatron crash, freezes my comp and I can do nothing ( I can do nothing, don't post a solution for this I ain't stupid ). Hello everyone I know the forum is dead I wanna try soething to bring it back to life. The winner of each weeks give the subject for the next week, a subject can't be repeated twice. Goal: make a boss with the boss topic given by the winner ! Winner are chosen by the community at the end of the week. -You cannot vote for your own creation. -no submition are allowed friday. To enter, you have to make a Single room containing a Single enemy ( A boss mainly ). Judges are everyone. ( Even yourself ). -Difficulty ( 5 ladder scale ) PS: a too easy or too hard boss = bad score. -Pattern ( 5 ladder scale ) PS: a repeated pattern boss is VERY annoying . -Movement ( 5 ladder scale ) If your boss have fast attack without warning or some annoying movements ( attack ) this makes him lose points here. -Originality: 4/5. He looks awsome, it's a nice concept we rarely see this, also the attacks are very well done none of them are messed up. Difficulty: 4/5. Not that hard, not that easy. the difficulty may depends on what kind of player you are, since it requires didging and interpretation skill. Pattern: 4.5/5. This boss have 5 attacks that are all very different. there's also the fairy bomb that makes this boss amost patternless. -Movement. 4/5. Low speed makes this boss a very balanced boss, since he have alot of health and his attacks requires time and are mainly strong. All attacks have very decent warning. Ok so there's this modifier event called Button and then there's also Legacy, I try to create an enemy that will " Dodge " the player bullet when he shoots ( Just put a better speed like fro 0.8 to 1.8 and wander modifier for about 200 tics and a 500 tics cooldown ) but non of those seems to work ??? Helpzzzz please ? It's rare I ask help but heh if someone figure out ! Is a gramatically correct sentence. The world is not as you think when your dead. Voxi, a dead man doesn't like the fact that the world is mapped black and white in afterlife. On his quest to save the afterlife boredom, he has to see what's over the rainbow; the only colored thing in this lonely world. He will have to fight the 5 god of color: Red, Yellow, Green, Blue, Purple. This is the only way to get this world color back. Use or modify models, animation or mobs created by author: Yes to prop, no to mobs, no to concept. Next area I'll make will be the ocean, More " puzzles " on this one. Next boss idea anyone ? Hi, this thread is to honor some of the greatest map here, on voxatron in some categories. Everyone can participate. Post your level or just name it. If you think there's a better level somewhere else, let me know, I dont know every m user created stuff ! I'll tell you how to use custom weapon! Alright so as the founder of custom weapon I need to show you a tutorial. It goes the same as a monster modifier, but you need to make the event to shoot ( when you shoot it shoots ) not random or anything. You can play around like, when he jumps, let's say a circular array of bullet appear. Dont forget to set the delay, else you would shoot like crazy making no sense ! CUSTOM WEAPON ! I found a way ! really. I aint joking ... on my next update, you'll see it ! chec my custom weapon template thread ! Why you choosed lua over C or java ? Is there some other people working with you for voxatron ? How long have you been working on voxatron ? How old are you ? What study have you made ? I am studying in programming: second year. My teacher dumb She gives us paper exams. You think its dumb ? Hi I would gladly appreciate the one who can make me a horse model ( unicorn ) for my map, I've doing some for about 2 hour and none are even a bit looking like a horse. a standing horse ( standing on his 2 back leg ). If one can do this for me I'll credit you for sure ! THIS WAS A BIG PROJECT, BUT IT MADE NO SENSE. I'LL DO ANOTHER LEVEL BASED ON PSYCHADELIA WHEN THE NEW VERSION COMES OUT WITH CUSTOM WEAPONS !! The Last Unicorn 0.2 Lucid dreming ! Play time: 20 mins ! You are a fan of mythology and you know that unicorns can time travel. you've read that there's still 1 unicorn alive in the world. You also know why; they have been erased by the gods because they could alter time. Unicorns are, contrarely to popular believe, very aggresives and if you inject their blood into your system, you'll also be able to time travel. Now you need to find a way to find the last unicorn. You've heard that there was a unicorn horn somewhere in the world ( unicorn horns let you travel trough time once). with alot of research you know where the last unicorn might be hiding; niagara falls july -5400 BC. There you go. Area and their enemys ( spoiler ). Storyline: You took a pill, no one knows what happened in your mind, I think you may keep that for yourself. -Totem ( medium ) NOTE: here to annoy. Sun & Moon ( BOSS ) NOTE: may modify this. For those of you who dont know who I am, well check my maps :) I am a very old voxatron editor and I will make another huge map ! I have fully of free time and imagination. Here are some of my ideas tell me what you'd like to see ( you too zep ). -In the editor icons of monster,items,objects are small, can I change the size ? -I saw in some level speed test ( slower and faster movement speed ) how can you do this ? -I saw in some level jump speed increased how you do that ? -And if I want to make let's say, in a room my character get slime stick to it, so it moves slower and in the next room, slimes have gone ( he move normally ) is that possible ? -Let's say I would like my character start with 2 health bar, possible ? Yeah, it's alot of question. I also think that some other people want to know the answer. So thanks, I hope that you zep can answer this :) ! Hello guys it's me BlindDevil, I'm back for a brand new level ! I need to adapt to the new version first so it may takes a while to make my new level but I'll post devellopement.